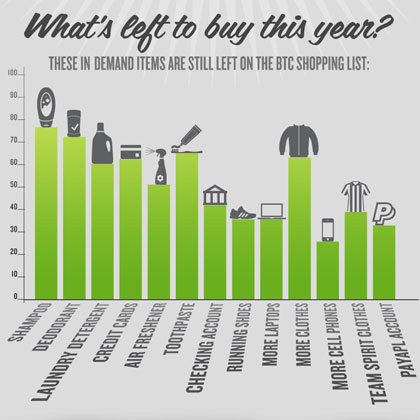 2012 Back-to-College Shopping: What are Students Buying? Social Media – Second Only to In-Person Conversation: As of August, 65% of students have had a conversation on Facebook about back-to-college shopping. Mobile – For Saving Money & Driving Retail Visits: Shopping apps were used by 38% of all college students this fall. College students use their phones as shopping aids for saving money and curating shopping lists (35% of students created a shopping list on their phone). Students Foot The Bill, Feel The Pinch: A tough economy has more than half of students (52%) footing the bill on purchases this year. 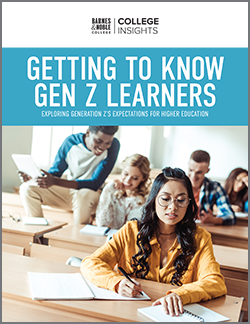 This has students stressed, with nearly half (48%) of all students worried about meeting daily expenses, and (44%) worried they won’t be able to finish college due to financial reasons. And over half (55%) are worried they won’t be able to find a job when they graduate. Click on image above to view the full infographic. So, what are the most wanted products this back-to-college season? MRY tracked dozens of items across several categories and found that while the big-ticket items like tablets, big screen TVs and gaming consoles are on students’ wish lists, they will spend the majority of their money on essentials for class: laptops, printers, software and clothing. 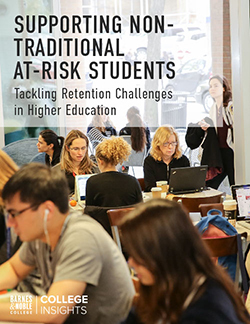 For more information on MRY’s back-to-college study, visit http://www.mry.com/.